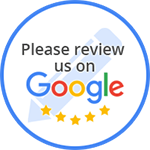 Express Auto Body takes pride in using our knowledge, expertise and high-quality service to make sure you leave our shops satisfied. Located in Hampton, VA our auto body shop is ready to serve all your vehicle's auto body needs. In most cases, repair to an auto bumper can be performed as opposed to replacement. Insurance companies prefer this option, as well. it's definitely worth the call to ARS for repairs that cost less than your insurance deductible. You take extra effort to keep your car waxed and detailed only to find those minor dents and door dings drive you crazy. Call ARS and our mobile technicians will employ our paintless dent removal to restore your car’s body back to new again. Scratches to your cars paint are inevitable over time. 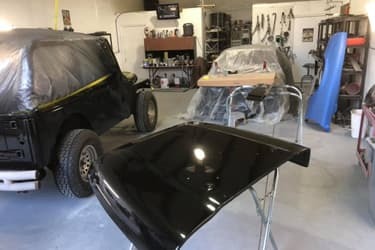 Call ARS’s mobile professional paint scratch repair, removal, and auto paint touch-up services that are 100% guaranteed to be performed to your satisfaction. ARS isn’t in the business of extensive auto collision repair, however we are an excellent option to fender bender dent repair. We work well with handling most every claim through your auto insurance and an ideal solution for repairs that come below your deductible. Most newer model cars on the market today have enclosed headlight casings that oxidize over time cutting down your headlights range and leaving an unsightly haze across the lens. ARS is an ideal solution to restoring your car headlight lens to pristine condition. So you’re ready to sell your car but find it may be difficult with that company or other vinyl lettering you had applied to it - and not sure how to safely remove it. ARS is the expert in vinyl letter removal from your car, van, boat, truck, or any other surface with vinyl lettering.